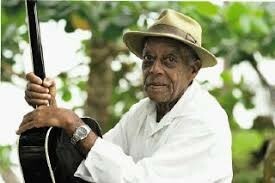 Photo: Walter “Gavitt” Ferguson, the Calypso King of Cahuita. Costa Rica has sometimes been called the “Little Switzerland of Central America” for its favorable tourism, healthful living conditions and good government. Native people are sometimes referred to as “Ticans.” The Boruca, Bribri, Cabécar, Guaymí, Huetar, Maleku, Matambú, and Térraba are all recognized by the government, and slowly but surely these groups are reclaiming their rights, lands, languages, and cultural heritage. The Indigenous Law was passed in 1977, and in 2007 Costa Rica also signed the United Nations Declaration on the Rights of Indigenous Peoples. In 2012, the Costa Rican government passed an executive decree that gave special recognition to Calypso music as part of the country’s cultural and historical identity. Costa Rican (n=500) represents 500 unrelated individuals from Costa Rica who were sampled in 2005 by the National University in Costa Rica. Source publication: Population genetic data for 18 STR loci in Costa Rica, FSI, 2007, 85-88. Costa Rican (n=260) represents 260 unrelated individuals living in Costa Rica who were sampled in 2004 by universities in Costa Rica, Spain, and the US FBI.